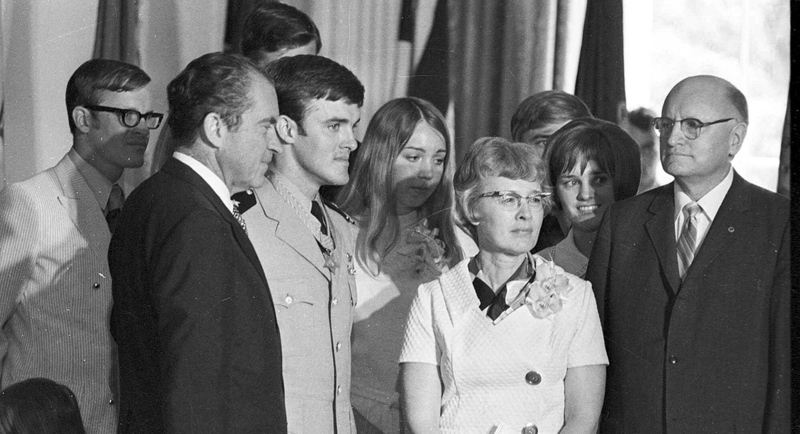 His Navy team reported they had killed 21 Viet Cong, which earned Kerrey a Bronze Star; in fact, at least 20 women, children and elderly men lay dead in the village. Not a single Viet Cong fighter was killed. The deaths were unknown until 2001, when the New York Times Magazineand “60 Minutes II” published an account of the events. At the time, some, including the Vietnamese government, called for Kerrey to be charged with war crimes. He apologized, and the outcry subsided, as American commentators, including then-Senator John Kerry, largely concluded that Bob Kerrey himself was a victim of an unjust war. 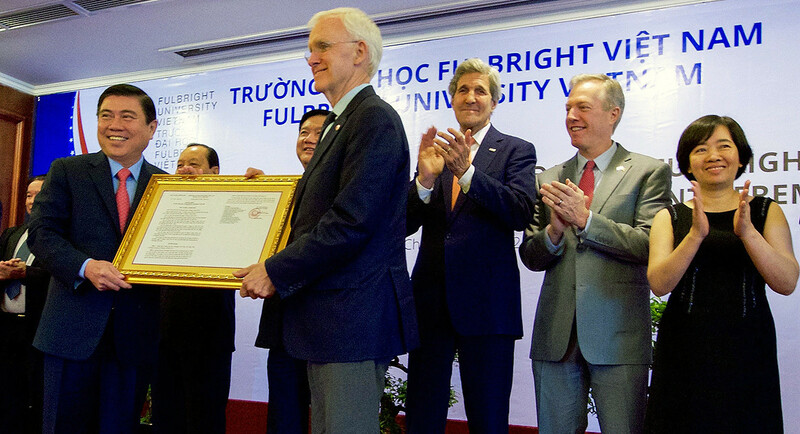 As a high-level Vietnamese official, Ninh had met Kerrey before and says she welcomed his involvement in education initiatives. But she was shocked that he had accepted a top leadership position at a university meant to symbolize newly warm ties between Vietnam and America. 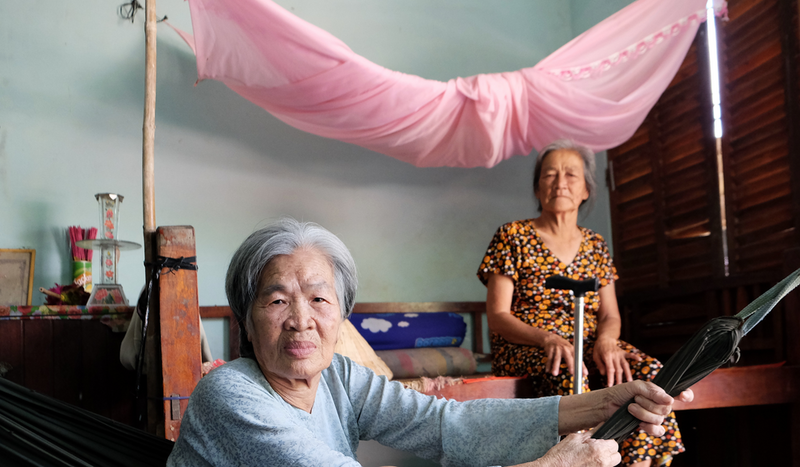 To Luom, Fulbright University Vietnam means nothing other than a reason more reporters came to her house to ask the same questions they had already asked. She expected that after people told her story all over the world, she and others who had lost relatives in the massacre would receive some practical benefits, perhaps money to pay for the doctor’s visits she still requires for the knee wound she suffered during the killings. 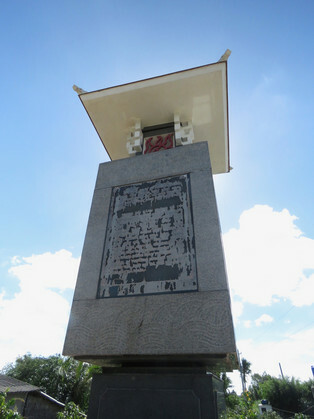 But nothing happened, except that the Vietnamese government built a monument to the victims at the site of the massacre. Today, thegray pillar inscribed with the story of the massacre is weather-beaten, the letters difficult to read, a purple blossom sprouting up through the crack between the base of the monument and concrete surrounding it, a few incense sticks slowly disintegrating in an urn in front. Thanh Phong’s tragedy is not unique for a war in which at least 2 million civilians were killed, except in that the world learned of its horrors, and that it involved a high-profile American public figure. To Vallely, the sheer ubiquity of violence against civilians in Vietnam, but especially in the densely populated Mekong Delta, argues against singling out Kerrey for criticism. Journalist Nick Turse’s book Kill Anything that Movesdescribes another campaign during which an “unrestrained war on the delta’s villages” killed about 5,000 civilians in just six months, over a period coinciding with Kerrey’s operation in Thanh Phong. None of the victims has ever received reparations or an apology from the United States.